To evaluate the microvascular and neural differences of the optic nerve head (ONH) between type 2 diabetes mellitus (T2DM) subjects and controls. This was a cross-sectional observational study. 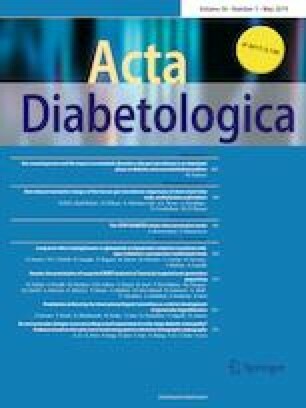 One hundred and eight eyes of 108 T2DM subjects with or without diabetic retinopathy (DR) (54 preclinical DR and 54 mild-to-moderate DR) were included. Fifty-two eyes of 52 healthy subjects were included as controls. The 4.5-mm Angio Disc scan mode and the ganglion cell complex scan mode were performed with all participants using AngioVue software 2.0 of the optical coherence tomography angiography (OCTA) device. Regarding ONH radial peripapillary capillary (RPC) density, the peripapillary region was mainly significantly reduced in the No-DR (NDR) group. Moreover, the RPC density of the peripapillary region and the inside optic disc area were significantly reduced in the non-proliferative DR (NPDR) group. When compared to the controls, significantly reduced peripapillary capillary density in six sections was observed in the NPDR group. However, reduced density was observed in only two sections in the NDR group. The NPDR group had significantly increased focal loss volume (FLV) and reduced peripapillary RNFL thickness in the inferior nasal section compared to those in the controls, but similar changes were not observed in the NDR group. A regression model identified RPCs inside the optic disc as a significant parameter in early-stage DR detection. In the NPDR group, BCVA showed a significantly negative correlation with RPCs inside the optic disc and a significantly positive correlation with FLV. OCTA findings of the ONH area may provide evidence that microvascular changes occur preceding neural impairment in early-stage DR. However, further researches are still needed to support the statement. Reduced ONH perfusion inside the optic disc may be one of the crucial biomarkers in early-stage DR detection and is a possible sensitive visual acuity predictor in early-stage DR subjects. With the ONH mode, OCTA may be a more promising tool in DR screening. Zijing Li and Xin Wen contributed equally to the manuscript as first authors. The research was funded by the National Natural Science Foundation of China 81570845 and the Natural Science Foundation of Guangdong Province 2015A030313019. National Natural Science Foundation of China 81570845; Natural Science Foundation of Guangdong Province 2015A030313019. All procedures were in accordance with the ethical standards of the responsible committee on human experimentation (institutional and national) and with the Helsinki Declaration of 1975, as revised in 2008 (5).